If you read the name “Aganorsa Leaf” and wondered what it was referring to, you aren’t the only one. 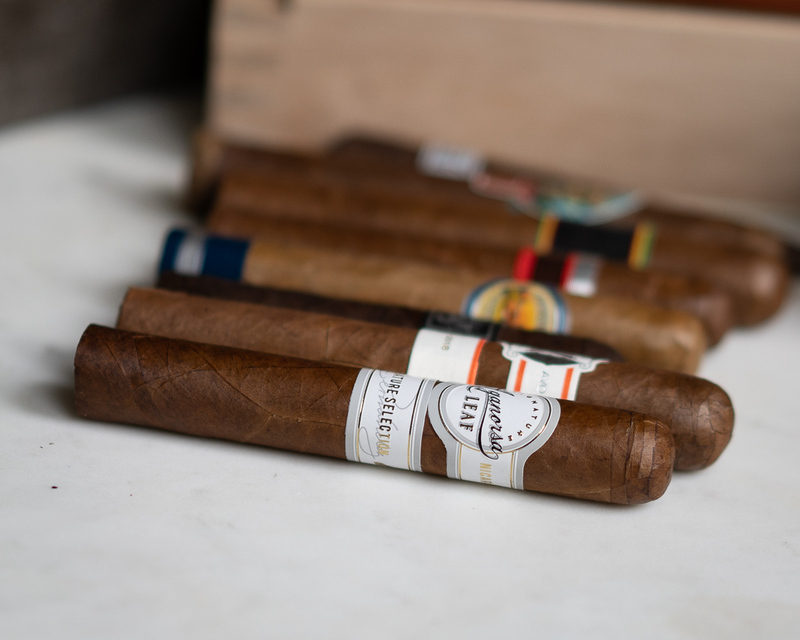 The brand is actually the newest incarnation of Casa Fernandez, maker of popular cigars like the original Casa Fernandez line, JFR, and Guardian of the Farm (which we reviewed here). I first experienced the company’s product (then Casa Fernandez) in 2012 on a trip to South Carolina and the quality of the product was immediately apparent. The Signature Selection is the newest blend from the company and features tobaccos aged up to 7 years. The Aganorsa Leaf Signature Selection Robusto is a stunner of a cigar. After removing the gold foil encasement, the Corojo 99 Jalapa wrapper is revealed to be just beautiful, with an oak wood appearance, a light oily sheen, and an incredibly solid triple (or even quadruple) cap. 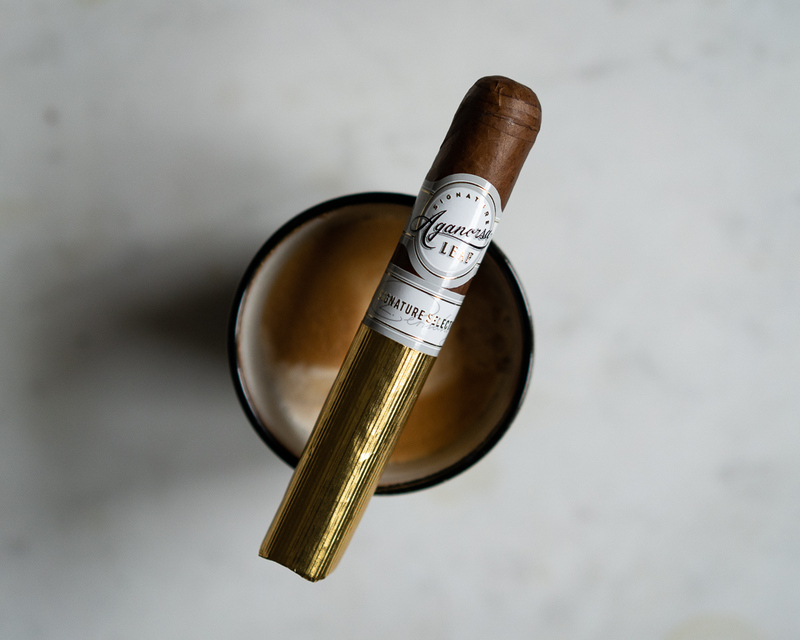 The gold and white double band has a celebratory vibe reminiscent of many of Davidoff’s cigars, though its distinct enough to not feel like a copy. Taking a whiff off of the foot, I pick up aromas of hay, sweet grass, caramel, and cedar. The cold draw has an interesting character, with assertive pepper, some creamy chocolate, and cedar. The restrictiveness of the draw is a touch tight, about an 8/10 in terms of amount of restrictiveness. The Aganorsa Signature Series kicks off with medium bodied, full flavored smoke. Dominating everything are two notes: black pepper and charred oak, drying my palate and setting the back of my throat atingling. There’s a slight creamy sweetness below those two notes, but it’s faint and almost impossible to catch behind the heavy pepperiness. Not a bad start, but I’m looking for more balance and complexity from this cigar–hopefully that shows up soon. I also have a bit of trouble tolerating the retrohale, which is chock full of white pepper and dry wood. Smoke production is decent, but not quite as high as I’d like it to be, and 10 minutes in it seems the outer wrapper leaf is having some trouble staying lit. Close to an inch in, the ash is holding strong with a very wavy burn. Thankfully, I’m beginning to pick up a bit of the complexity that I was hoping for. Although there’s still dominant charred oak,the black pepper has morphed into a number of cooking and grilling spices (garlic powder, paprika, sea salt). And every couple of puffs I get hints of cream and roasted nuts. It’s closer to being in balance at this point, but I’d still be grateful for a bit less charred oak. 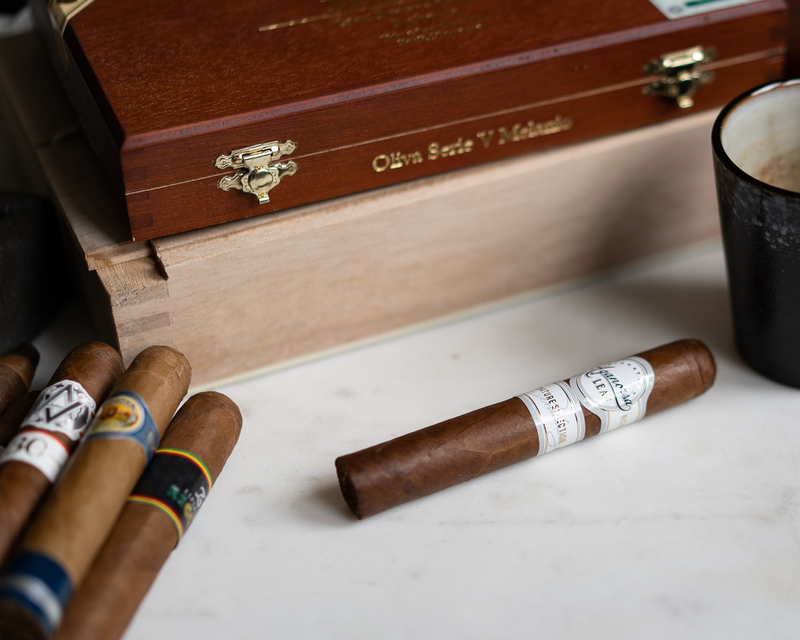 As the Aganorsa Leaf Signature Selection burns into the second third, the wrapper requires a touch up, and it seems that there’s a tunnel developing in the filler tobacco, which drops the smoke production to below average. On the palate and in the aroma, flavors of graham cracker, cinnamon and Dijon mustard saddle up next to leather and charred oak. The retrohale has morphed as well, taking on a toasty, peppery character. In the final third, the pepper finally dies down enough to allow the more nuanced flavors to take charge. Flavors on the palate include toasty bread, salt and pepper, generic wood, cream, and Dijon mustard. Construction improves as well, with a straight burn and good smoke production. It’s just too bad the cigar doesn’t find better balance before the end! 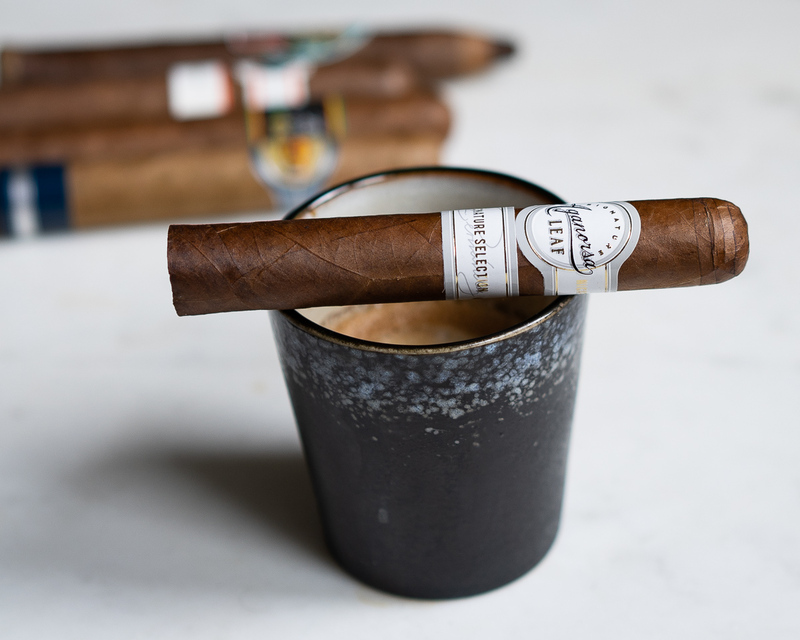 The Aganorsa Leaf Signature Selection is an enjoyable smoke but it has too many noticeable areas to improve on to merit an above-average rating. Lack of balance and finesse and construction issues take this from being a great cigar down to just good.